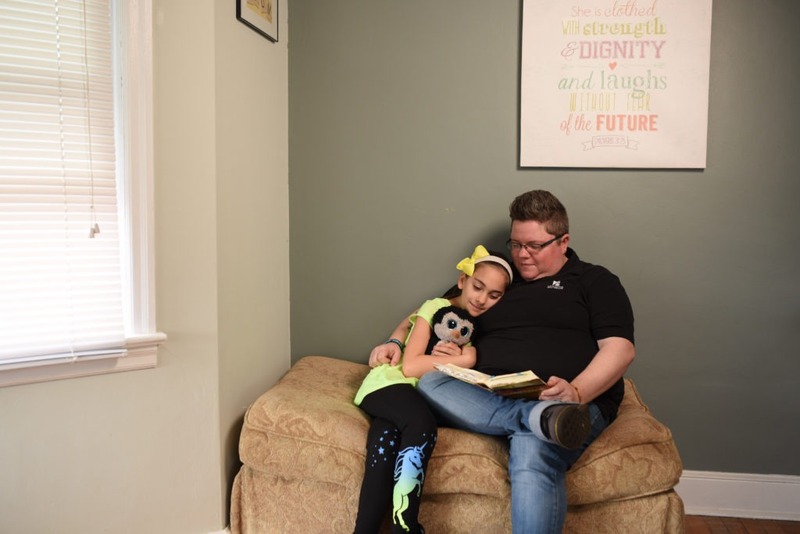 Becky Rupp remembers the day she rang the doorbell at LifePath Christian Ministries Women and Children’s Shelter. She’d just gotten out of rehab for drug and alcohol addiction. It was the second time Becky had turned to LifePath for help, and the woman who opened the door, Pam Billet, recognized her. “I’m so happy to see you!” Pam said. Becky broke down, tears streaming down her face. They went back to Pam’s office. For the better part of an hour, Becky cried. Together, they prayed for Becky and her two-year-old daughter. For a long time, Becky just didn’t want to grow up. She numbed herself with drugs and alcohol and shirked her responsibilities. She thought God was done with her. But when she went back to LifePath in 2011 — something changed. She went to church and Bible study and heard scripture in a new way. She realized God still loved her. Even when she messed up, He didn’t give up on her, and neither did the staff at LifePath. The revelation was like a light bulb going off in her head. It changed her life. One of the hardest things about leaving LifePath for Becky was finding a church where she felt safe, where she wasn’t judged. It’s one of the things that drove her to go back to school. Now, she’s in the Women in Ministry Leadership program at Lancaster Bible College. She wants to change the church — to make it a more inviting place for people struggling like she did. Becky just celebrated seven years clean. And whatever she does after she finishes school, she hopes she can help others the way LifePath helped her.